Our company is reckoned as one of the prime Manufacturers, Exporters and Suppliers of Paper Tube Adhesive from India. 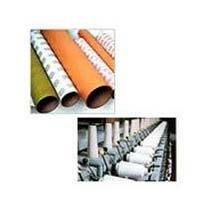 Based in Gujarat, we are backed with sophisticated production unit for processing Paper Tube Adhesive. This adhesive is made in compliance with the set industry standards. It is widely used in the manufacturing of paper cone. This adhesive also finds usage in textiles, defense and cosmetic industry. Paper Tube Adhesive is packed in optimum grade material to preserve its purity and efficacy for long.